Mushrooms are becoming more popular in the food world now that eating locally and farm to table cuisine is booming. The best place to buy fresh wild mushrooms is locally such as at a farmers market or specialty grocer. When that's not possible though, there are some online mushroom sellers that provide quality products for your mushroom-buying needs. Mushrooms are known for their earthy flavor and tender texture and can be used in a variety of sauces, side dishes and entrees. Mushrooms are neither fruit nor vegetables. Mushrooms are not actually plants but fungi that grow in dead and decaying plant matter. They do provide nutritional benefits to the human body. 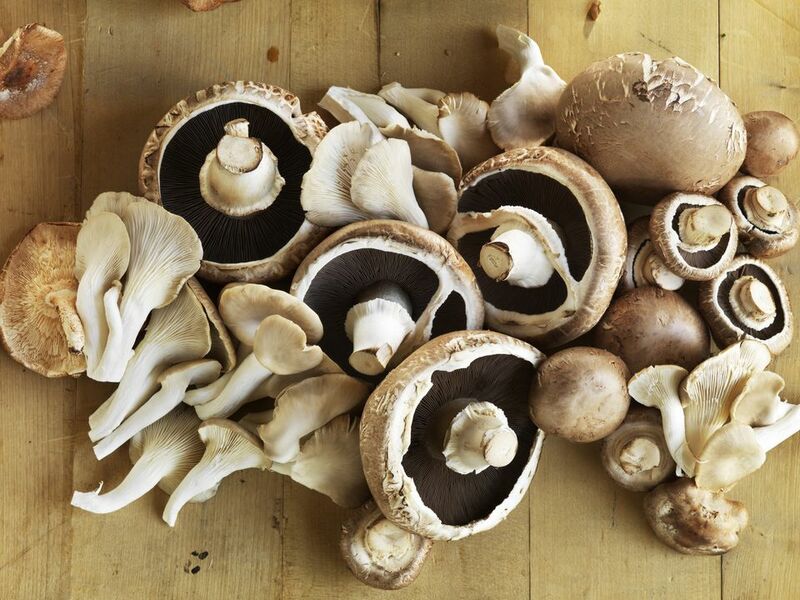 Mushrooms are as high in antioxidants as zucchini, carrots, tomatoes, green and red peppers, pumpkins and green beans. In general, the best fresh mushrooms are those with unblemished caps that smell earthy, but never fishy. The specifics of how to pick mushrooms depend largely on the type of mushroom you choose. If you are unable to find fresh mushrooms at your local market, many online stores sell and ship local mushrooms. Another option is to purchase dried mushrooms, which can easily be rehydrated at home and used in many tasty recipes. Oregon Mushrooms sells frozen, dried, and fresh wild mushrooms from Oregon and California: morels, chanterelles, lobster, yellowfoot, truffles and lots of other varieties. They also carry a wide selection of dried mushrooms. In addition to mushrooms, Oregon Mushrooms sells mushroom-focused specialty items including gift sets, produce, pâtes and tapenades as well as balsamic creams and vinegar. For years, Marx Foods has been a high-end restaurant distributor but, in 2007 it began selling directly to consumers. In addition to mushrooms, Marx Foods has some wonderful and hard-to-find products such as game meat, seafood, wild produce and much more. For wild mushrooms, they have morels, chanterelles, hen of the woods, enoki and more. This Canadian company has a large selection of fresh wild mushrooms from the west coast of Canada and the United States: morels, chanterelles, hedgehog, bear's tooth, trumpet, lobster and more. Pacific Rim Mushrooms also provides ​wild exotic greens such as fiddleheads and wild onions. Pacific Rim Mushrooms also has a number of mushroom-based recipes that use the mushrooms they sell. Local Harvest is a marketplace for small farmers to sell directly to consumers. Some of the selections, such as fresh handpicked morels and freshly foraged chanterelle mushrooms, come directly from the farmers and are priced accordingly. Local Harvest is a good resource to see the seasonality of mushrooms, as certain mushrooms will be unavailable during certain seasons. If you're unsure of which mushrooms you should buy, it's always helpful to speak directly to the farmer or seller for local recommendations. Feel free to share recipes or personal taste preferences with the farmer or seller. This information will impact which mushrooms they may recommend for your specific taste preference or recipe. Wild mushrooms are seasonal and that affects both their availability and price, so be prepared for some sellers to not have certain varieties at certain times. If possible, it's best to eat what's in season, as it will taste best and likely be the most affordable option.